Kunos Simulazioni deployed the second hotfix following the fifth update of the Assetto Corsa Competizione Early Access version. Patch v0.5.2 is mainly fixing some minor issues with the newly added Circuit Zolder and Emil Frey Jaguar G3 content. Furthermore, On their official forum, Kevin aka Minolin who is responsible for ACC Multiplayer development posted a statement explaining why update 5 did not yet feature any improvements regarding multiplayer. He tells us that back in December they decided to rewrite part of the ACC multiplayer code in order to speed up future developments while having the ability to add more features later on. While developing software, especially games, you constantly invent patterns and concepts. When we built the ACC gameplay during 2018, we aimed for a certain way to write the game logic, including everything from session handling, race timing, lap times, penalties and so on. Our solution had some amazing feats and ways of working, but we also had to learn that one of the disadvantages was making the development of Multiplayer features not as efficient as we had wished for. You may have noticed that although we met our roadmap targets on time in terms of content and features, several things involving Multiplayer were late. This is not really unusual or surprising; moving a whole development team to a new engine and framework required us to learn about the new situation as the project evolved (but we didn’t know where this would happen, obviously). The alternative route is a rewrite of (a lot of) the code to switch to concepts that support our current needs and the things we learned. The disadvantage is obvious; we’d have to spend a lot of work to change ACC without – seemingly – adding gameplay related features and fixes for a certain amount of time, however, the gain is a much more stable environment, where we can keep adding features and also speed up future development. I can tell it’s unusual to go for a rewrite, but it expresses our approach and our plans to go on, even beyond ACC 1.0. Technically speaking, a few developers forked off the codebase and worked day and night to do the re-coding, with the goal of bringing those improvements to the main code as soon as possible. The new features on the list, therefore, are there, but not in this build, and we most probably will also bring them one after another even looking beyond the 1.0 release, since the development will continue to bring our audience the 2019 Season update, and more. As a bottom line: enjoy the new content, both the car and track (in my opinion) are fabulous and see how ACC keeps developing in the future. I’m writing this between Multiplayer tests (on the new code), we are on a very good way – but sadly we will not see this outside the test systems for the time being. Assetto Corsa Competizione is the Officially licensed Racing Simulator of the Blancpain GT Series by SRO. 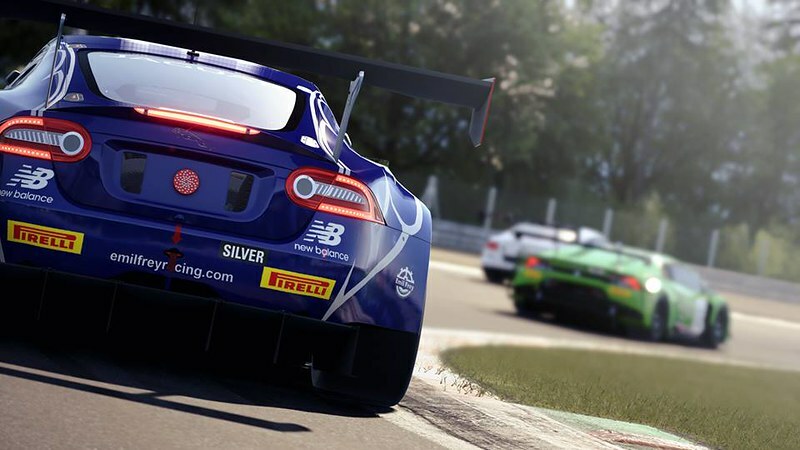 The game features the official drivers, teams, cars, and circuits of the worlds premier GT3 championship.